Our clients can choose from almost 200 Madrid apartments in the GoMadrid database of self-catering properties, offering the possibility to cater for every budget and taste. 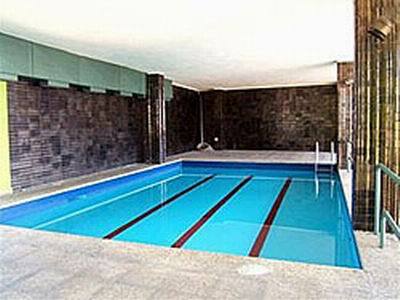 However, city-centre apartments rarely offer access to a swimming pool, so in this section, we highlight some of the apartments in Madrid which offer this luxury item for those long summer months when the sun heats up the concrete of the city. Note that almost all pools will be open from mid-May to mid-September only. Apartamento Tres Cantos & Apartamento Tres Cantos II - for those requiring the tranquility of the suburbs, these beautiful apartments are located in the same building in the Tres Cantos residential town just outside the capital. They are magnificent and incredibly spacious loft apartments which offer guests use of the swimming pool, the paddle tennis court, and communal garden. To see the availability of ALL our apartments and aparthotels, please use the form below.